Berlin is such an amazing city for so many reasons. It’s artsy and modern, has great food, parties all night, and still manages to be one of the cleanest and well kept urban sprawls. It’s also most notorious for its vivid history. The past comes alive with significant spots at the turn of every corner. Whether you’re a history nerd, art fanatic, or simply a selfie addict, you’re bound to appreciate these seven top historical highlights to be seen in Berlin. 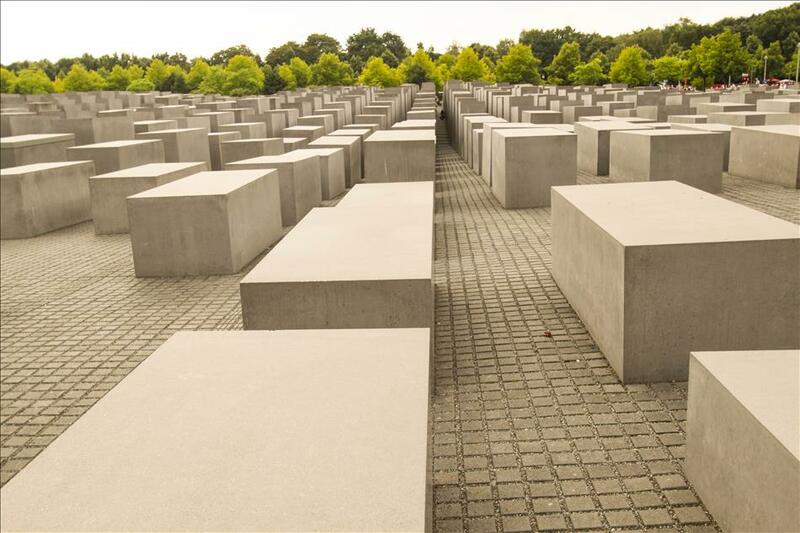 Perhaps one of the most recognized modern memorials in the world is the Berlin Memorial to the Murdered Jews of Europe. Its 2,711 varied concrete blocks cover 4.7 acres of sloping land and are an immense reminder of the breadth of the tragedy. The memorial is such an impressive place and promotes public interaction it in a variety of ways. Some sit on top of a block and watch Berlin’s buzz, some disappear in the grid, and some hop from one block to the next. The memorial is a must see whether you want to pay your respects or play. 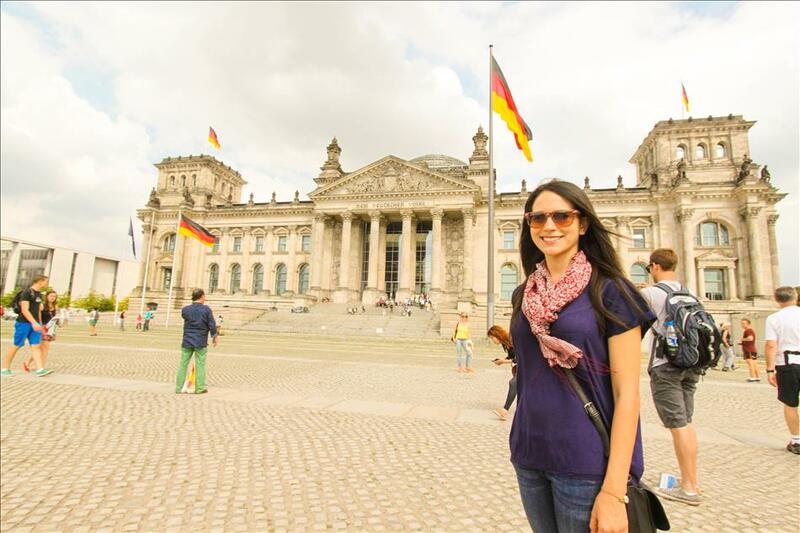 The Brandenburg Gate is a must-snap. It’s what the pyramids are to Egypt, an immediately recognizable landmark known worldwide. 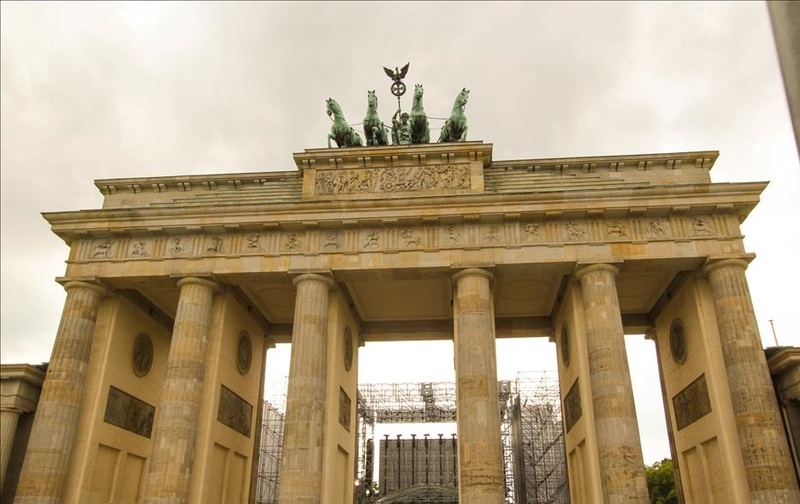 The crowning figures of the horse drawn chariot upon pillars of triumph have presided over the city during both times of tumult and peace and are considered the heart of Berlin. I’d recommend going in the evening to get a photo, it is especially beautiful lit up against the dark. The 360 degrees of glass comprising the dome of the Reichstag building is one of the world’s modern architectural masterpieces symbolizing unification and transparency in government. Germany’s parliament meets in the colossal building. You can snap some shots and admire the beauty of the architecture or go inside the dome for free with advance online registration. 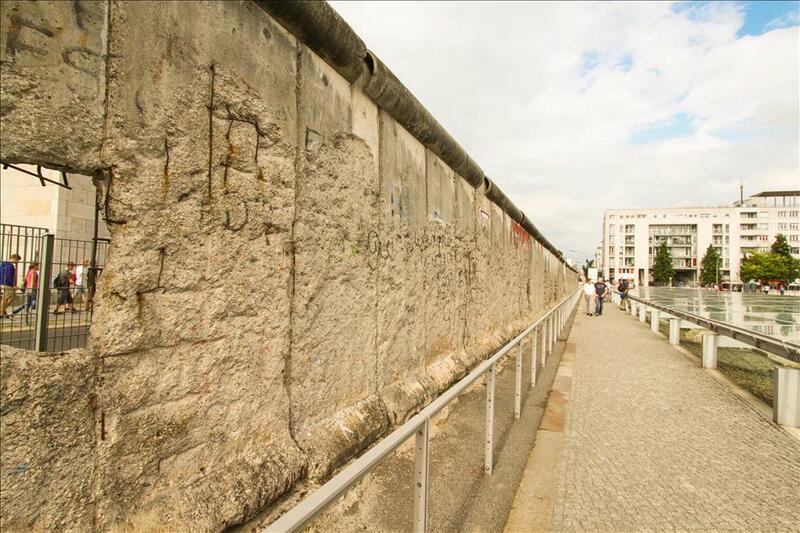 All along the former site of the Berlin Wall are memorials, art, and museums. The Topography of Terror Museum features a very thorough and informative public outdoor exhibition that follows Germany’s history pre WWII to post Cold War. 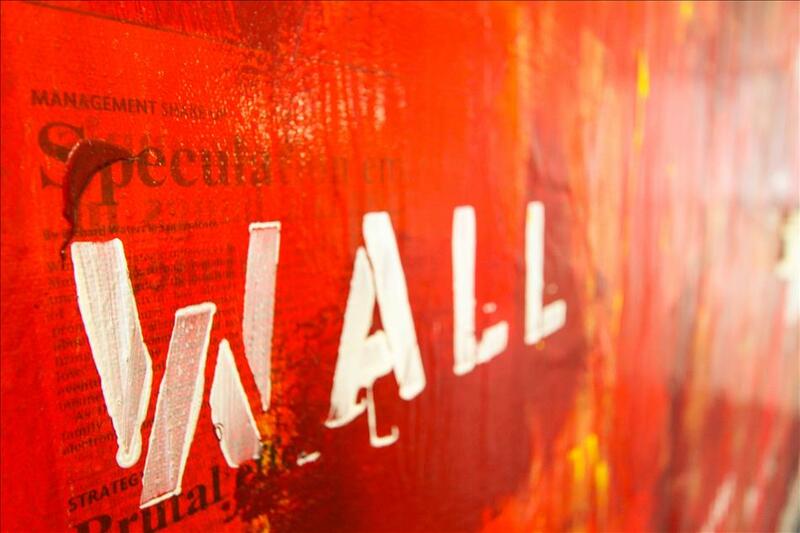 You can spend hours reading the personal stories and history surrounding the sobering ruins of the wall. 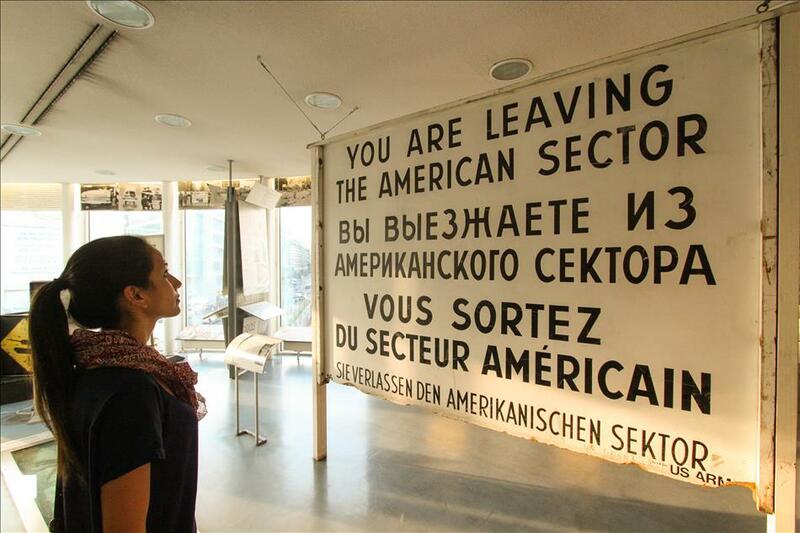 The Museum at the former border check point between East and West Berlin during the Cold Was is filled with stories of determination and escape. Check Point Charlie used to be an American run check point and often hosted illegal border crossings for Berliners seeking freedom. On the top floor is a modern exhibition hall with art and photography highlighting modern struggles for freedom and equality. I can’t emphasize the powerful effect of this museum enough. It’s a must-see whether you’re into history or simply interested in the ingenious escape plans people forged in an age without the aid of cell phones or the internet. 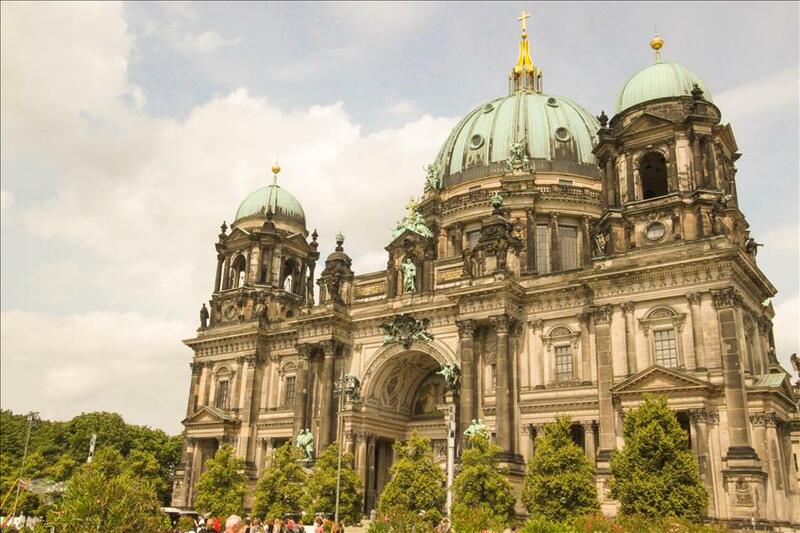 The turquoise domes of the Berlin Cathedral set along the neighboring river are especially picturesque. The colossal 110 year old cathedral exhibits beauty and strength. It’s worth a visit to snap some scenic photos or have a picnic. 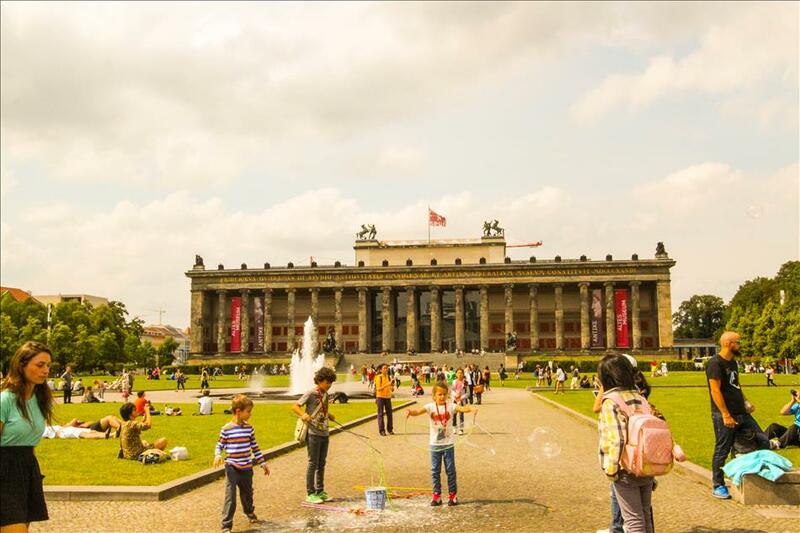 It also conveniently neighbors Museum Island. 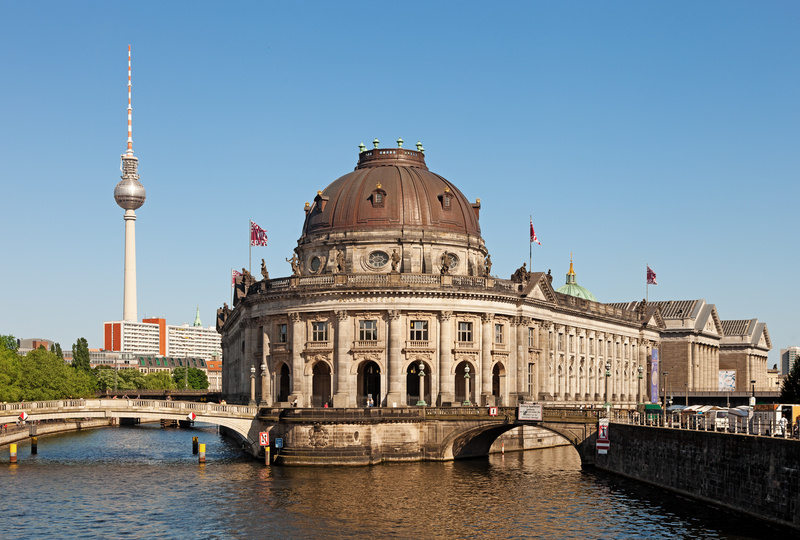 The Berlin Museum Island UNESCO World Heritage Site houses some of the most important museums in the city and is completely surrounded by water from the Spree River. Art history buffs will be in heaven as the island is home to some truly amazing art from ancient Egypt and the Byzantine Empire to European 19th century masterpieces.